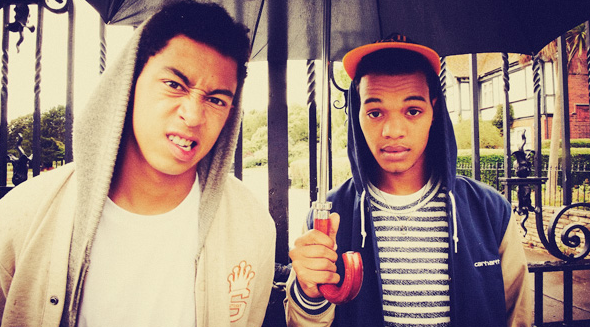 Rizzle Kicks (@RizzleKicks) – Nasty | "Up to date / state of the art / take part, get taken apart as I make my mark"
Some may have thought that chart success may have prevented Rizzle Kicks from going in on anything less than saccharine these days, but Rizzle proves otherwise by killing some bars over Nas’ recent Nasty release. This one actually had Nasir Jones shouting out the Brighton duo on twitter. Great to see. Strong rumours that there’s a video coming for this one too. This entry was posted on March 28, 2012 by Koaste in 2wo 7even 3hree, New Release, Oh Really? and tagged Nas, Nasty, Rizzle Kicks, Stereo Typical.